At 1000 UTC, Captain Michel Gordillo had to say adios to his new friends at Lanzarote, Canarias. 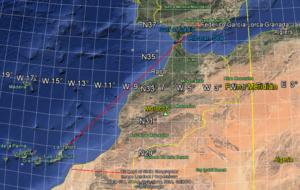 He is now flying the long leg over the coast in north Africa to La Axarquia, Spain a small air field east of Malaga International Airport. On his departure from the Canary Islands, Michel will fly by the beautiful Famara Cliffs north of Lanzarote and get some photos for us. 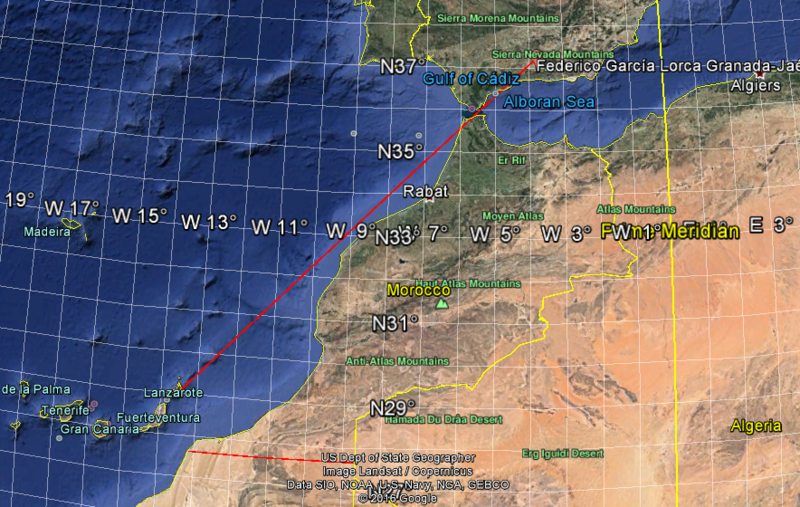 After that he will fly a heading of 043 degrees and keep flying for another 1300 kilometers to La Axarquia (LEAX). Michel will be back on the Spanish Mainland in about five hours flying time. He is very happy to be on the last two legs of the round-the-world trip back to Madrid! Confirmed arrival 1450Z… 10 minutes before estimated. Michel looks perfect… tired but so happy. It is a real pleasure for us hosting this “PolarMan”. Tonight, the dear RV-8 ER will sleep comfortably (I hope Michael will do so). Thank you again, Sky Polaris Team, for your great support to Michel. Welcome back home on the continental territory, Michel! GREAT ACHIEVEMENT, GET, REALLY GREAT! Enjoy all the forthcoming praise, glory and honor! ….and the water shower after landing at LECU (don’t close the canopy)! And many thanx also to Skypolaris and the Real Aeroclub De Malaga.